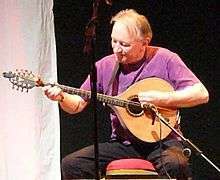 Dónal Lunny (born 10 March 1947) is an Irish folk musician and producer. He plays left-handed guitar and bouzouki, as well as keyboards and bodhrán. As a founding member of popular bands Planxty, The Bothy Band, Moving Hearts, Coolfin, Mozaik, LAPD and Usher's Island, he has been at the forefront of the renaissance of Irish traditional music for over five decades. In 1971, Lunny and Irvine played on Moore's second album, Prosperous, which led the three of them, plus Liam O'Flynn, to form Planxty shortly thereafter. Their first professional performance took place in Slattery's, in early 1972. The band became a leading proponent of Irish traditional instrumental music. On Tuesday, 27 January 2015, Lunny's latest musical association performed at Celtic Connections 2015 in Glasgow. Called 'Usher's Island' (a reference to the Dublin quay), it had morphed from LAPD and comprises: Lunny, Irvine and Glackin, plus Michael McGoldrick (uilleann pipes, flute and whistle), and John Doyle (guitar). Lunny continues to contribute to contemporary music in Ireland, touring with many musicians, including Zoë Conway and Máirtín O'Connor. 1 2 3 4 5 Winick, Steve. 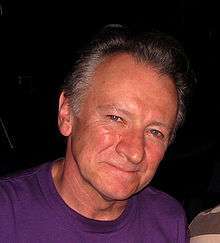 "Dónal Lunny / Biography". Allmusic. Retrieved 16 November 2012. 1 2 3 4 5 6 7 8 9 10 11 12 13 14 O'Toole, Leagues (2006). The Humours of Planxty. Ireland: Hodder Headline. ISBN 0-340-83796-9. ↑ "Celtic Folkweave". Discogs. Retrieved 14 November 2012. 1 2 Harris, Craig. "The Bothy Band Biography". Allmusic. Retrieved 16 November 2012. ↑ "Andy Irvine is still going strong in his seventies." in Irish Examiner, 5 February 2015. Retrieved on 1 March 2015. ↑ "The Shape I'm In: Donal Lunny, Music Maker." in Irish Examiner, 20 October 2013 Retrieved on 8 July 2016. ↑ "A Silk Purse". discogs.com. 1975. Retrieved 6 July 2016. ↑ "Five Guys Named Moe". discogs.com. 1990. Retrieved 6 July 2016. ↑ "Mairéid Sullivan – Dancer". discogs.com. 1994. Retrieved 6 July 2016. ↑ Fyfe, Pete (22 January 2011). "LORG LUNNY featuring Donal Lunny (TG4 TV)". folking.com. Retrieved 6 July 2016.